Trend Marine’s advanced technology and highly developed technical skills make it a leader in marine glass and glazing across the global boat building industry. We have a high capacity thermal bending and toughening plant as well as a state-of-the-art sag bending facility which means we can meet the quality demands for the finest Superyacht glass. Trend Marine’s speciality is complex glass bending and complex curved toughened glass with additional skills in metal forming. For stainless steel, this has been achieved through the development of customised stretch and bending machines. Our glass processing plants include the most advanced CNC grinding, polishing, drilling and digital glass printing equipment. 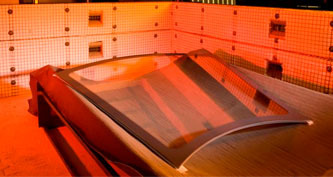 Glass sheets are available in several body-tinted options ensuring consistency and reliability. Laminated glass is produced using advanced interlayer technology to ensure longevity in the harsh marine environment. 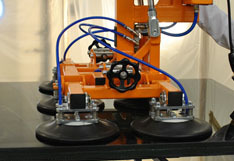 Trend Marine boasts a chemical toughening plant on-site to ensure single-site production. Insulated Glass Units can be manufactured in multi-panel configurations depending on the required functionality. 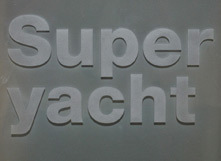 Fire-rated and Bullet and Attack Resistant glass solutions have become more sought after in yacht projects and our development has matched this requirement.